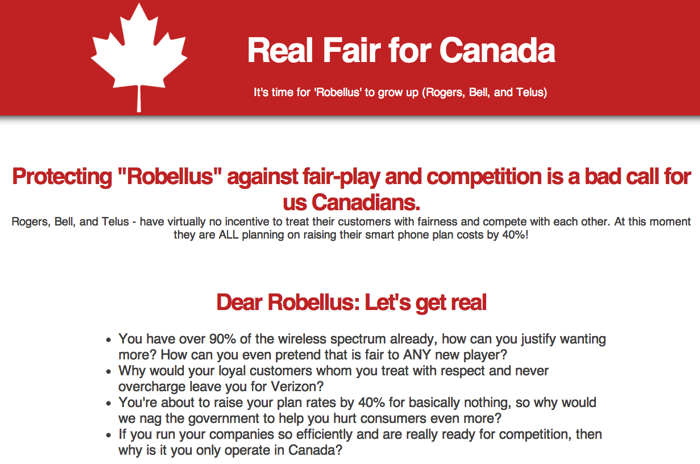 Protecting “Robellus” against fair-play and competition is a bad call for us Canadians. 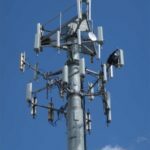 Rogers, Bell, and Telus – have virtually no incentive to treat their customers with fairness and compete with each other. At this moment they are ALL planning on raising their smart phone plan costs by 40%! The site links to responses we’ve seen before, such as Ben Klass’ open letter reply to Bell CEO George Cope, Peter Nowak’s ‘TELUS reality check’, Michael Geist’s ‘Getting Signals Straight in the Great Wireless War of 2013’ and also direct links to email your local MP and Prime Minister Harper to share your thoughts on the issue. 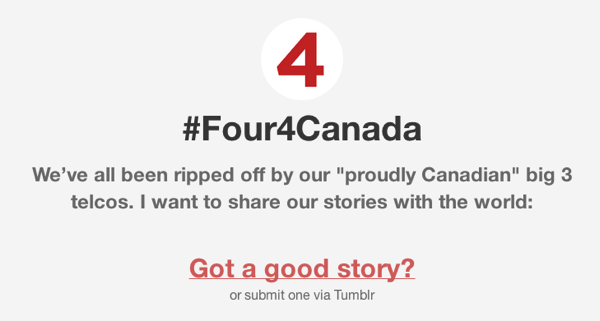 Another website also launched is the #Four4Canada tumblr, which enables users to submit their stories about their experiences with incumbents. 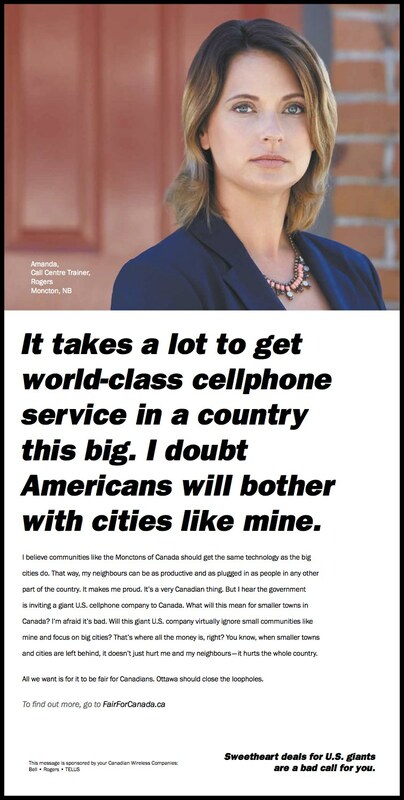 What do you think about these ongoing PR campaigns by our incumbents?